Across town it was Jon arriving at the place he once called home. Sitting in his car he took a deep breath and got out of the car ready to deal with this. Jamming his hands in his jeans pockets he walked across the lawn where his eldest son Jesse was sitting out on the decking that they installed last summer listening to his ipod. “Hey you” he said as he plopped himself down on the seat next to him stretching himself out. “Hey Dad” he replied quietly still staring across the lawn tapping his foot to the beat of whatever song he was listening to. Jon could tell he was a little annoyed, Jesse was the one that would stare away, Stephy would rake him over the coals and the other two, and well they were too young to be seriously mad at him. “Jesse, I’m sorry you had to hear it this way, this isn’t the way that I intended it to happen at all buddy” he honestly said but Jesse still looked away. Jon leaned over and tugged one of the earphones gently out of his ears. “Jesse please listen to me, I’m trying to explain here” he said as Jesse turned to face him. “What? You’re getting married to her, no big deal right” he said shrugging still playing with the dial. Jon sighed it was going to be the cool kid reaction today. “Is it really Jesse? It’s a huge deal for you guys. I know that, I wanted to talk to you before all this, but some thing have happened that I had to take care of, I’m sorry bud, I really am” he reached over and patted his knee. Jon didn’t get a chance to hear his reaction as Dot came out of the house and walked over to them. “Hi Jon, Jess honey, Chris is on the phone for you” she said. Jesse got up and thanked his mom and walked towards the house not saying anymore to Jon. “That go well did it?” Dot asked as she sat on the chair her son had just vacated. “No, it didn’t, listen I didn’t mean for it all to happen this way, Jesse’s dead husband is back. There was a mistake and he’s been in a Prisoner of War Camp this whole time, so that happened the night before I was meant to come here first thing in the morning and talk to you and the kids about Jess” he said putting his face in his hands. Dot was all set to rip into Jon the way he’d let this unfold as the one thing they had always agreed on no matter what was that they’d always put the kids first, before their own lives. But seeing Jon in front of her now and the explanation told her she didn’t need to. He felt awful. “Not dead? What in the earth? How is she coping?” Dot asked shocked. “She’s ok, there’s a lot to work through, we’re still together at the moment, but I don’t know, I kinda don’t believe Jason will let her go without a fight” Jon said staring out to the river. God he wished he had a cigarette right now. “Jesus, Jon, I’m sorry, it must be awful, I mean fantastic he’s not dead, but she’s moved on…” Dot trailed off, she knew Jon didn’t need her to recap the details. She could see it already in his face that he’d been there and back more than once. “Exactly Dot, I just... Don’t know what’s going to happen” he stood up and brushed his jeans down. “But right now I need to talk to the kids, how is Steph?” he asked. “You know Steph, she’s brewing, and you’re more than likely going to get a barrelling when you go in there” Dot said with a small smile. “God, who did she get that from by the way?” he asked shaking his head with a chuckle. Dot managed a small knowing grin “Just tell her, she’ll understand. I think they are more shocked of the time Jon to be honest, that you’re marrying so soon” and in all honesty she was as well. She knew Jon loved Jesse she could see that clearly at Steph’s birthday party but marriage so soon was a bit surprising especially for someone like Jon. “I know it’s a shock, it just felt right, I love her a lot Dot, I’m not going to hide that anymore.” He said as they both made their way back into the house. Dot let him go first and find their daughter who was lying sprawled across the couch reading in their living room. “Hey Stephy” he said as he sat on the end of the couch cautiously waiting for the fire that was their daughter. “Hi Dad” she said as she put the magazine down. Here it came, that Bongiovi temper started to glimmer in her eyes. “Listen Steph – I’m” but he didn’t get a chance. “So when is the wedding or was that yesterday?” she asked, her voice laced in sarcasm. “Come on Steph, it wasn’t meant to be like this, I’m sorry that I didn’t get the chance to tell you, I was going to but Jesse’s dead husband is back” Jon realized how ridiculous this was beginning to sound. Stephanie just sat up straighter and looked at her father “Back from being dead? How?” she asked confused. “He never was dead it was a mistake, he was captured by one of those nasty war camps, but they thought he was dead till just recently. He came back the night of Jesse’s fashion launch. It was just a shock and I didn’t handle it well and just things were crazy, I’m still getting my own head around it all” he admitted. “Holy cow” she said “He’s back? What happens with you now Dad?” she asked. She could see her father looked worn. The same kind of worn before him and her mother split up. Jon sank further back into the couch and racked his nails across the underside of his chin. “We talked, she still wants to stay together but she has a lot to work through with her husband. So I don’t know, it will be a case of wait and see.” He said before pulling her into his side. “So you see that was the reason that I couldn’t tell you kids, not because I forgot or anything. You’re the most important thing to me Steph, you all are. And I want to make sure you’re ok with it” he said stroking her long brown hair. “Dad, you’re scaring me” she said looking up into her fathers seemingly sad eyes. Normally she would protest a hug but she could see he was in need of one. She’d never seen him looking sad as he did right now. “I’m ok, it’s just been a long twenty four hours baby.” he replied gently. God had it what. “You’re afraid she might choose him?” she asked. Jon shrugged and then nodded “It’s a possibility, if I was her husband I would try and win her back” he said. Stephanie moved further into his lap. “Dad, come on you’re you... She wouldn’t give that up” Stephanie said to try and be reassuring. He managed a small snort “And what exactly does that mean, I’m me... aren’t I the big bad old Dad”. “You’re not that bad, sometimes you’re a pain but mostly you’re ok” she teased. 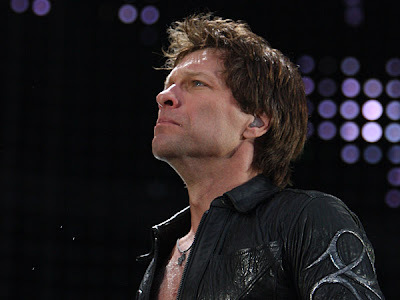 Jon felt a small smile slip across his lips as he stared down at his daughter “Thanks Stephy, I hope so too” he said. They were soon inundated by the two younger boys and they climbed all over Jon to vie for best position on his lap. “Whoa guys!” he said as he pulled one onto each knee and ruffled their hair. “I’ll get you a coffee Dad while these two rip you apart” Steph joked as she got off the couch and left. “Thanks baby” he said as he leaned forward and tackled Jake and Romeo. “What’s have you two little mischief makers been up to?” he asked. They were like two little balls of energy, unable to sit still for more than ten seconds. After being told all about what Barney and the Wiggles had been doing and being mauled, he had them shrieking with laughter as he tickled them and spend some Dad time with them. They were growing so big every day. He made a mental note to spend more time with them. When Stephanie returned carrying his coffee, he just motioned for to go on the table. It was suicide thinking he could drink coffee with these two on his lap at the same time. He’d learnt that the hard way after many burnt thighs. “Is Jesse still on the phone?” he asked her. She nodded “Yeah he is” she went to say something but she decided not to. But she forgot her Dad had this uncanny ability to read her like a book. “What is it?” he asked once Jake dethroned himself from Jon’s lap. “Jesse kind of thought that you’d end up getting back with mom” she admitted. She knew Jesse would probably kill her for telling their Dad but Steph could see how tired he already looked, he seemed so worried. She shrugged “His friend’s parents got divorced and they hardly speak, I think because you and mom do, and you’re here a lot ya know” she tried to explain the way he’d told her. 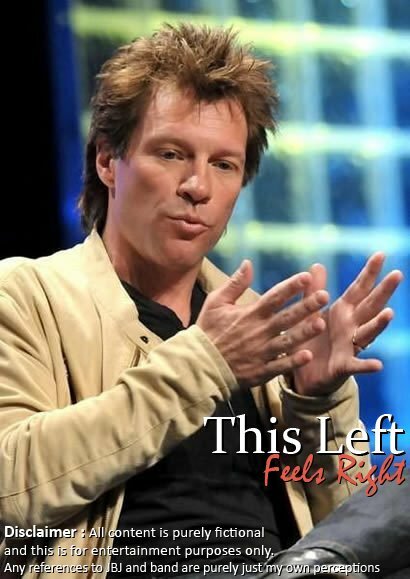 Jon nodded that did make sense in an odd way “Ok, thanks Stephy for telling me, you did the right thing honey. Jon knew he’d have to talk to his son again. It couldn’t be easy for them, and that’s why him and Dot had tried to keep things as normal as possible when they were around them together. In this case it seemed that’d had the opposite effect. Love the way Jon interacts with his kids. Can't wait to see how this all settles out. Loved the glimmer of the Bongiovi temper. sweet how he is with the kids and all!!! i'm still wondering what is happening at Jesse's house!!! Aww glad the kids, well nearly all of them seem ok. I agree! I want to see what Jane and Peter have to say to Jesse's outburst!